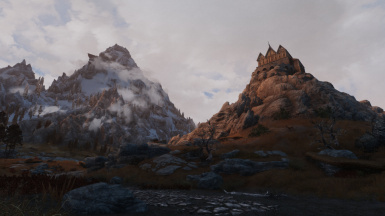 A lighting/weather plugin and ENB preset, designed to work together. Project Rainforest LE - A Tropical Climate and Environment Overhaul For use with ENB presets compatible with NLA (OPTIONAL). The creator of ENB, Boris, for his work bringing new effects and features to Skyrim. 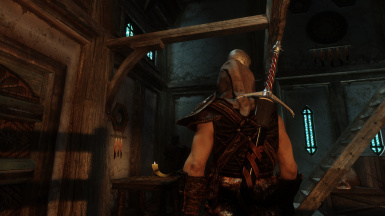 Matso, author of Skyrim Visual Immersion, for his prepass files (DOF, image grain, etc..) and sunsprite files. JawZ for his atmosphere mesh. scegielski for his Enhanced Night Eye implementation. the _weatherlist INI file in the enbseries folder. performance reasons will obviously affect the way it looks. ugly, though you're welcome to tweak it to your heart's content. weather ID and time of day so I know where to look to make adjustments. 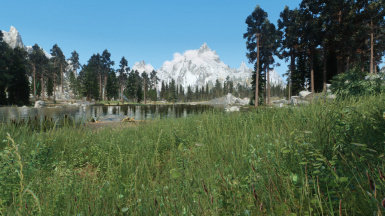 You will need to download the latest ENB files (currently v.0269), as well as the enbhelper.dll for time of day and multiple weather configuration support. 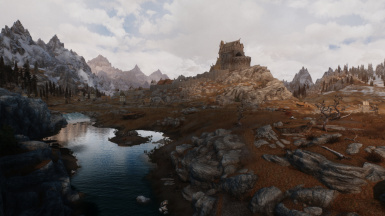 Latest ENB files can be found here: http://enbdev.com/download_mod_tesskyrim.html, these files should be placed in the Skyrim folder along with the unpacked files provided with NLA. 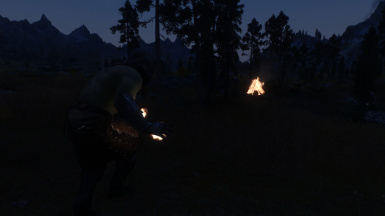 The helper plugin can be found here: http://www.dev-c.com/skyrim/enbhelper/, this should be placed inside the enbseries folder along with all the effect and weather config files. Make sure you're editing the SkyrimPrefs.ini in your Documents folder, not the actual game folder. Please follow the installation instructions included in the ENB download. I don't provide general ENB support. 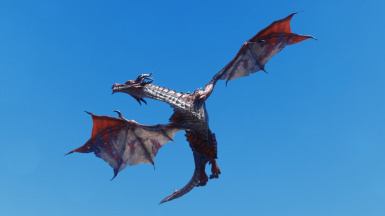 If you have problems unrelated to this specific mod visit ENBdev and request assistance. Q: Why is there no enblocal.ini in your download? A: Enblocal.ini will be generated when you run the game. You're meant to select your own AA options and configure the memory settings based on your system specs. Check the STEP guide here to see what it all means if you're unfamiliar. Q: I'm trying to adjust values through the UI, but it's not doing anything. 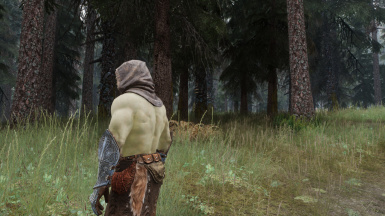 A: This enb uses weather-specific config files, so editing the general enbseries.ini won't have any effect unless IgnoreWeatherSystem is enabled for a specific category. To edit these config files you have to open the secondary weather window in the UI (the shader window is open by default) and adjust the active weather ini. Q: How do I make nights/interiors brighter? A: You can adjust lighting intensities from the weather window, although to keep things consistent across the game you'll have to change the same values in each weather.ini file. Alternately you can edit the enbeffect.fx config from the shader window which contains day/night/interior separated postprocessing effects like brightness or gamma. 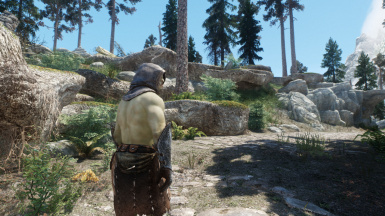 Thanks to Boris for his work on ENBSeries, it's only because of him Skyrim can look like this. Matso for his DOF and other prepass effects. Make sure to check out Skyrim Visual Immersion. Kyo (K-ENB) for his sunsprite effects, along with Matso and JawZ. scegielski for his Enhanced ENB Nighteye. 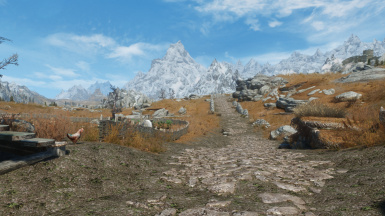 All the modders for the models, textures, and other enhancements that allow Skyrim to look the best it can. Feel free to use the plugin or preset in your own releases, I would only ask to be credited.